Rakesh Jhunjhunwala‘s portfolio needs to be studied as a text book because there is so much that an amateur investor can learn from the portfolio of this master investor. Rakesh Jhunjhunwala is no stranger to the perpetual debate between the proponents of a concentrated portfolio versus the proponents of a diversified portfolio. The leading proponent of a concentrated portfolio is Warren Buffett who makes it clear that when he identifies a stock, he likes to play a big bet on that. He doesn’t like buying a bit of this and a bit of that. Warren Buffett dismissively refers to over-diversification as a "low-hazard; low return" situation. On the other hand, the proponents of a diversified portfolio are led by the redoubtable Peter Lynch who openly declared that he "never saw a stock he didn’t like". At the peak of his career managing the Magellan Fund, Peter Lynch had over 200+ stocks in his portfolio. Between these two giants strides our very own Giant, Rakesh Jhunjhunwala. Rakesh Jhunjhunwala is the wise one because he knows that there are advantages and disadvantages to both systems of portfolio management. A concentrated portfolio is fine if you have absolute conviction in your stocks and you are prepared to take whatever risk is takes. However, a diversified portfolio works well if you are optimistic of the stock but are wary of the risks that come with it. Rakesh Jhunjhunwala‘s portfolio shows that he walks a fine line between concentration and diversification. If Rakesh Jhunjhunwala has absolute conviction on a stock, he buys it in large quantities and is happy to hold on for forever. However, if Rakesh Jhunjhunwala does not have absolute confidence in a stock, he buys a small quantity and plays around with it, testing its depth. 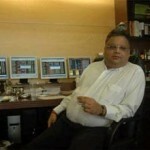 Rakesh Jhunjhunwala‘s Full Conviction Stocks constitute nearly 68% of the total value of his holdings. That is why Rakesh Jhunjhunwala deserves the honour of being called the investor with the "concentrated portfolio". Within the "Medium Conviction" stocks, one can add the names of Geojit BNP (Rs. 97.50 crores, Bilcare (Rs. 91.69 crores), Orchid Chemicals (Rs. 77.13 crores) and Delta Corp (Rs. 64 crores). 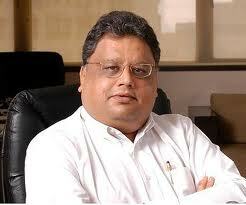 Rakesh Jhunjhunwala‘s Medium Conviction Stocks constitute about 15% of the total value of his holdings. At the lower end of the spectrum are the shares that Rakesh Jhunjhunwala appears to have bought on a whim. The amounts that Rakesh Jhunjhunwala has invested in these stocks are not even equal to his petty cash balance. So, these stocks can rightly be called "Rakesh Jhunjhunwala‘s time-pass stocks". Rakesh Jhunjhunwala‘s portfolio reveals another startling fact – that the master stock picker has carefully diversified across sectors. What this analysis brings out is that Rakesh Jhunjhunwala‘s favourite sectors are Retail or "the great India-consumption" story followed by Finance & Pharma. These three sectors make up 85% of Rakesh Jhunjhunwala‘s portfolio. The rest are really miscellaneous holdings. 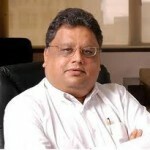 The surprising thing is that Autos and Information Technology do not play any part in Rakesh Jhunjhunwala‘s portfolio even though stocks like Tata Motors and Bajaj Auto have performed so well in the medium to long-term.